KAFF Cooking Range Customer Care Number, Head Office Address – KAFF produces a wide range of home and kitchen appliances with latest features and superior quality. It offers products like cooker hood chimneys, built in ovens, cooktops, wine coolers, cooking ranges, built-in hubs, dishwashers, built-in refrigerators and many more. Kaff Cooking Range includes 3 different models equipped with latest features and stylish designs. KTM 60, KSQ 60, KSQ 90 are the cooking range models offered by KAFF. 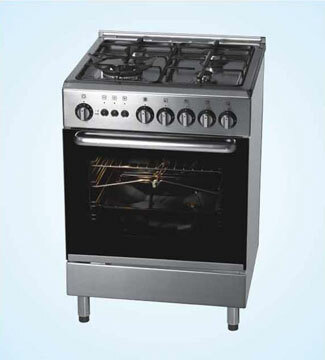 It features 4 gas burners, grill and gas oven, stainless steel body, economically designed knobs, low-temperature handles etc. with all these advanced features it makes convenient for cooking and also saves energy. Customers can write & ask their queries through below given KAFF Customer Service number & Email Id and can know the services provided by the company. The company also designs a different variety of Appliances like – Cooker Hood Chimneys, Built-in Hobs, Ovens, Microwaves, Dishwashers, Refrigerators, Barbeques, Wine Coolers etc.., Customers can also use the above Customer Care Information if there is any problem in KAFF Appliances. To stay in touch with the company customers can also follow the KAFF Social Media Stream for latest offers & products. To find the nearest KAFF Service Centres & Dealers in India Customers can click on the given link here. here’s a very poor service …I purchased this hob 6 monts ago.. and i have register my complaint on 24/09/2014 still no service man has came to our home.So many sms & calls we made to ur costemor care no. but no response has came till now…Third class service if anybody is there to came ..then its ok .Otherwise we our going to complain about this nonsence service. There’s a very poor service …I purchased this hob 10 days ago..but still no service man has came to our home.So many sms & calls we made to ur costemor care no. but no response has came till now…Third class service if anybody is there to came ..then its ok .Otherwise we our going to complain about this nonsence service. Pathetic service…customer care people argue lot rather proving solutions….. these people dnt know how to talk with customer.After 1 week of purchase of chimney none bother to fix it.bloody excuses.overall totally unhappy & unsatisfied. i had purchase kaff chimney, after a year.chimney sound start giving problem. we have call the sale manager from whom we purchase.it has 5 year warranty time and they told us that service is free in this time.now they are charging for coming and if any change in part in chimney. its being 6month ,i had made complaint but no use.I will never advice reader to purchase kaff staff,it service is worst. I had purchased KC 60 SSGI 4 burner stove cooking top on 7th July’2012 and today while my wife was cooking it bursted and the entire stove got damaged. the burners along with glass top was totally damaged.Immediately I informed to customer care and narrated the entire matter and the lady at customer care told our executive will visit tomorrow. I requested that the matter is for thecooking stove and it is very mcuh needed to cook the food and treat this as important and urgent but I am very sorry to share that today my entire family not able to cook the food and we had our lunch & dinner outside in the Hotel. I request to Kaff authorities kindly think the same incidence could happen to you then what will be your response. I purchased all Kaff kitchen equipments for newly furnished kitchen just 3 months back and the most important part Fan of the Chimney defective and not working. I complained two weeks back complaint no. 42982 to customer care but nothing done sofar. I just advise my other consumers, never ever use Kaff stuff as their services are extremely bad. I wish I had not purchased Kaff equipments. I am having problems with the gas burner ..Its been 5 years have been having problems 2 burners not working at all. and other 2 makes lot of sound while cooking. I am looking forward a immediate reply.